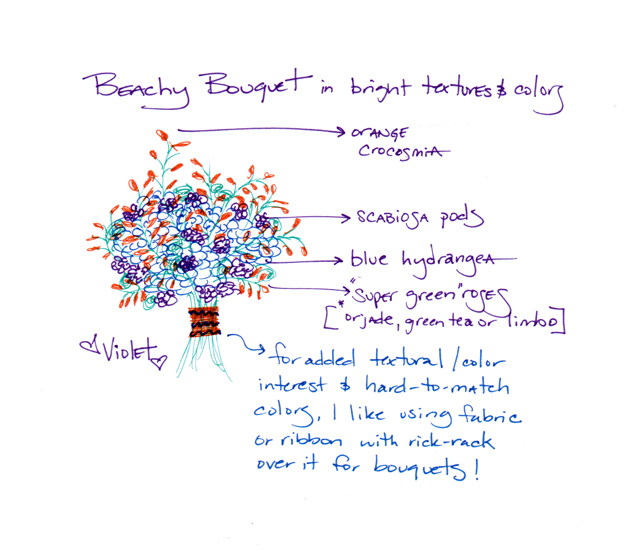 Our second bouquet inspiration by Violet is a bright and beachy style bouquet with lots of fun colors and textures. Enjoy! Save 10 Percent on our New Centerpieces!